I suffer from IBS and as a result I am very conscious of my health. I stay away from oily food and food with too many grains. I need to eat every few hours as I have low blood sugar, so I pack a Herbalife chocolate and peanut bar in my bag as a snack to fill the gap. I also enjoy the bigger Herbalife Energy bars because they fill me up and are easy to pack into a bag or lunchbox. 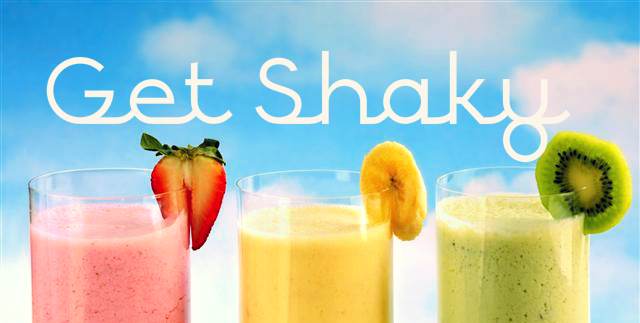 I really enjoy the Herbalife shake – it tastes delicious and is a fun way to make a quick breakfast. 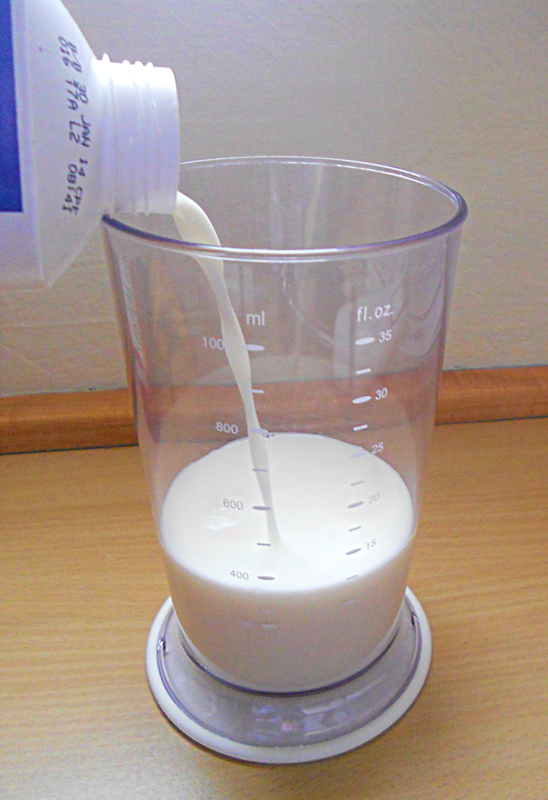 I’d like to share with you how I make my Herbalife breakfast shake. 1) The ingredients I use, from left to right: I like the Herbalife vanilla-flavoured shake but I am interested to try the other flavours sometime as well. I usually choose smooth yoghurt so that it isn’t too sweet with all the fruit bits. I often use 1 small tub of yoghurt but sometimes 2 if I want to bulk up the smoothie a bit more. Bananas are also good for IBS sufferers as they are a natural way to alleviate an upset stomach. They also have important magnesium and potassium which helps prevent muscle cramps. I use Liqui Fruit or Ceres fruit juice because it does not have any added sugar and is made with 100% fruit. I choose low-fat milk as creamy milk is sometimes too rich for me. I also like to keep the fat content down in the foods I eat. I use a Russell Hobbes hand-held blender which is easy to use and clean. It comes with the jug (pictured) in which I make the shake. 2) I pour in about 400ml of the low fat milk. 3) I then add the 2 bananas. I have tried making the shake without them but I prefer the thicker consistency. 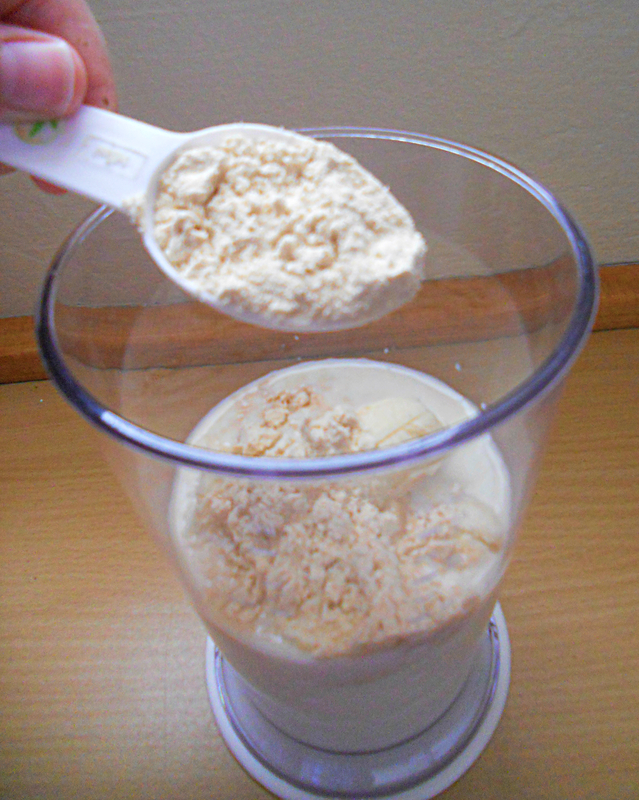 4) and include 2 spoons of the Herbalife vanilla-flavoured shake powder. 5) I put in about 2 tablespoons of fruit juice to include more fructose in the shake. 6) I add the full small tub of yoghurt. 7) I blend all the ingredients together for about 5-10 seconds. It is important to push the blades all the way to the bottom of the jug so that all the banana chunks are mixed into the shake. 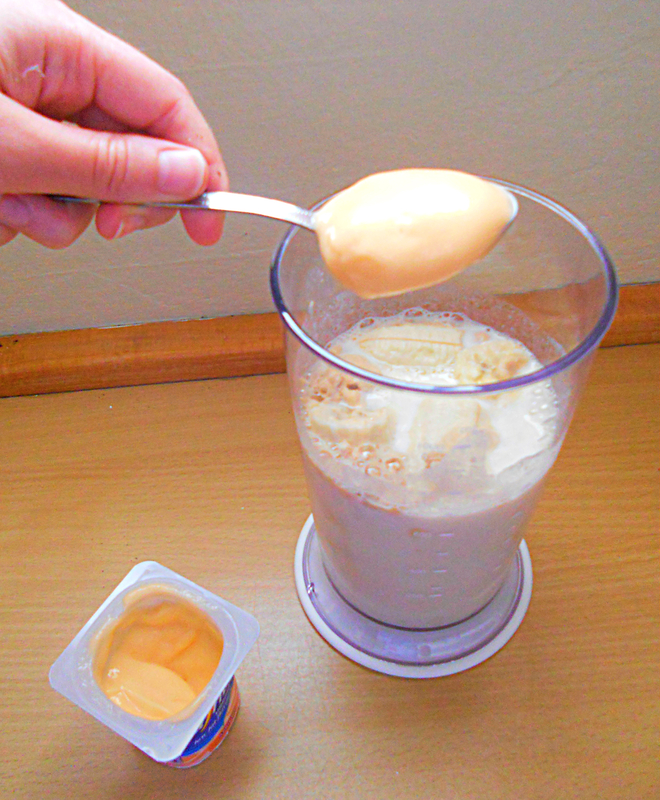 8) The mixture makes about 3 glasses of shake. I will usually drink 1 for breakfast and put the other 2 in the fridge uncovered to drink later in the day. The banana tends to go a brownish colour because of the exposure to oxygen but it still tastes delicious and it is a lovely, healthy refreshing drink for the summer. This entry was posted in Recipes and tagged Best herbalife recipes, healthy active lifestyle, healthy breakfast, Herbalife, herbalife shake, herbalife shake banana, herbalife shake fruit juice, herbalife shake recipes, herbalife shake yogurt, herbalife smoothie, quick healthy breakfast, share your shake. Bookmark the permalink. Yummy and healthy! Thanks Annie!